In part 1 and part 2 of this series about the vCSA, we have covered topics like; the shells, filesystem, services, health, logging, database and some extra tools. Recently I realised there a few more topics worth mentioning. In pre 6.0 releases of the vCSA, there was a vCenter Server Appliance Management Interface, better known as the VAMI. This management interface is written in HTML5 and is now called the e Appliance Management User Interface (Appliance MUI). You will find the new management interface in vCSA 6.0 and 6.5, however there are some differences. You can login to this interface, using: https://<vCSA fqdn or IP>:5480. Us a local account such as the “root” account. Fig. 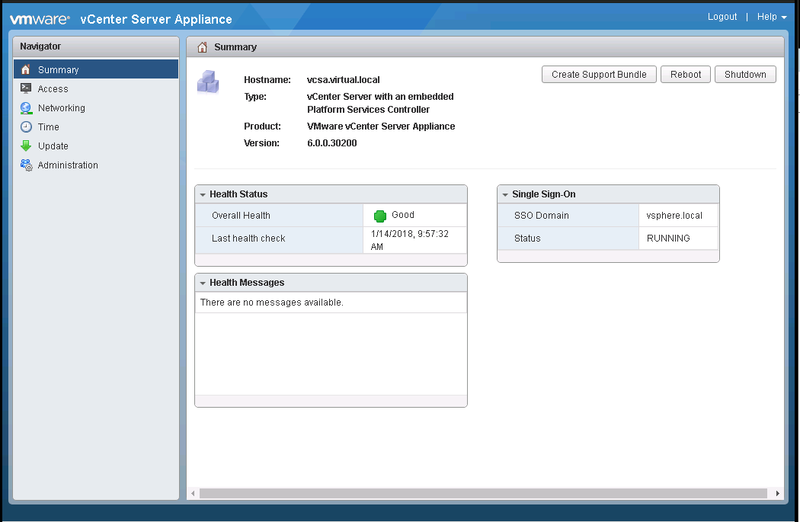 1 – Summary vCSA 6.0. You are currently browsing the Adventures in a Virtual World blog archives for January, 2018.